The Diesel fuel tank is the storage for the generator to run. It could be a based mounted fuel tank or it can be a separate above ground or underground storage tank. 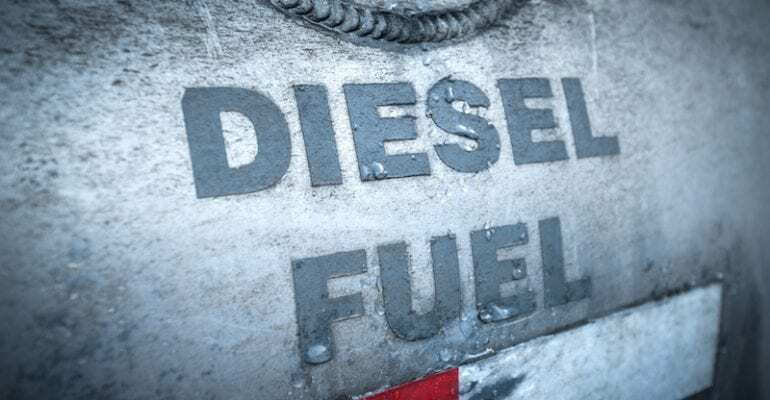 Diesel Generators fuel systems must supply the diesel engine with a continuous and clean supply of fuel. Large storage tanks are required when the generator is used to support large commercial establishments or where power outages are frequent and last for long periods of time. Bulk fuel is usually stored in a large tank, and the fuel transferred to a smaller, day tank near the engine, by means of an electric motor-driven pump. The capacity of a bulk storage tank depends on a number of factors that include the nature of business operations, consumption rate, running hours required and the availability of fuel. The amount of product that will be stored is dependent on the expected length of a power outage which in many cases is difficult to predict.